Reconstructive surgery has long been admired around the world for its amazing power of rectifying abnormalities, thereby restoring both form and function of the body. It involves the reshaping of traumatized features as well as congenital malformations through innovation and creativity. However, the methods, techniques, and materials employed for various reconstructive surgeries have evolved widely over the years, thanks to the rapid advancement of surgical science and technology. 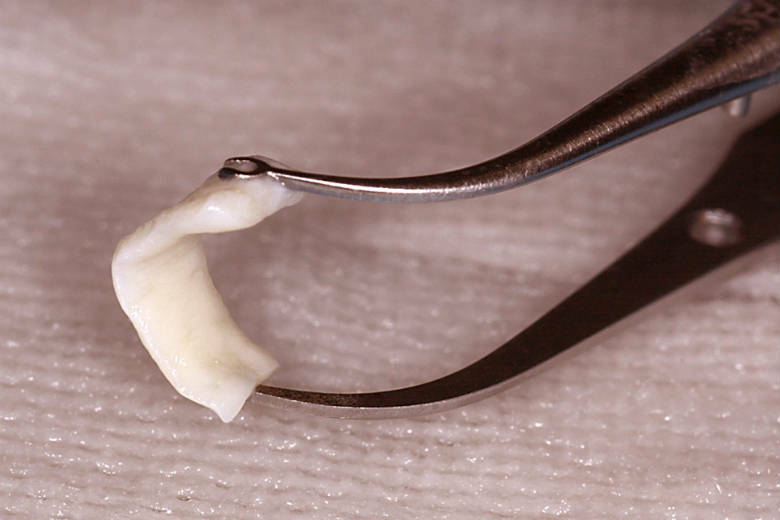 While synthetic substrates are suitable for different surgical settings, they are getting replaced by biological choices like acellular dermis these days as the later integrates into the native tissue in a faster and better way. Alloderm is one of such biocompatible solutions that has revolutionized the approach to tissue expansion and reconstructive surgeries. What Is Acellular Dermal Matrix (ADM)? Before digging into the details of Alloderm, it is essential to be familiar with Acellular Dermal Matrices (ADMs). Introduced in 1994, they are a type of biological scaffold materials used for the augmentation or complete replacement of deficient or missing skin and soft tissues. Acellular dermis is typically derived from human or animal tissues that are processed for decellularization while keeping the structural element i.e. extracellular matrix (ECM) intact. This facilitates dermal scaffolding, which allows the repopulation and revascularization of the implanted tissue (1). Unlike traditional allografts and xenografts, this soft tissue matrix graft gets incorporated into the body when used in a wide range of plastic surgeries (both reconstructive and cosmetic). In other words, it offers improved wound healing without the concern of rejection. Some of the most common ADMs available for reconstructive surgeons include AlloDerm, AlloMax, DermaMatrix, FlexHD, BellaDerm, Permacol, and Strattice. AlloDerm (a product by LifeCell Corp., Branchburg, New Jersey) is a regenerative tissue matrix that has a uniform appearance and white to buff color. It is one of the most widely studied as well as used ADMs, which is harvested from donated (cadaveric) allograft human dermis. The dehydrated sheet of sterile tissue comes in different sizes and ranges of thickness for promoting revascularization and cell migration. This stimulates natural tissue renewal and offers rapid wound healing with minimum limitations. The best thing about Alloderm is that it provides reinforcement to the compromised soft tissues in the body while ensuring lasting tensile strength and natural contour. Moreover, it becomes fully integrated into the final wound without causing infection or extrusion. Alloderm is approved by the US Food and Drug Administration (FDA) as banked human tissue for using in a wide range of clinical indications. It is also fully compliant with the Standards for Tissue Banking of the American Association of Tissue Banks (AATB) as well as applicable state requirements. To ensure the safety of Alloderm for transplantation, rigorous donor screening and testing are performed by the U.S. Tissue Bank. These include a host of steps, such as physical examination, interview for risk assessment, laboratory testing, coroner and autopsy. An eligible donor should be negative for infectious diseases like HIV 1 and 2, hepatitis B and C, syphilis, etc. The tissue grafts are also tested to rule out contamination (3). An ideal candidate for Alloderm is one who needs repairing or replacement of damaged integumental tissue. Treating burn contractures and traumatic skin loss is the most basic use of Alloderm. It is meshed (1:1) and placed on the wound bed followed by immobilization. The practice reduces the need for multiple reconstructive surgeries and regrafting while enhancing the range of motion significantly. Alloderm reverses the process of recession and restores the gum line successfully. This not only gives superior aesthetic outcomes but also prevents a number of oral issues like tooth root sensitivity, plaque and tartar build-ups, cavities, damage of supporting bone, etc. In secondary rhinoplasty, Alloderm replaces the autogenous cartilage for expanding portions of the nasal skin envelope with sufficient structural support and no unsightly irregularities over time. It helps in maintaining a soft natural contour while eliminating the risk of donor-site problems. For implant-based breast reconstruction or corrective breast augmentation, Alloderm acts as internal support with excellent coverage. Being high in elastin, it has great stretchability that helps in creating a smooth contour by masking rippling and averting implant migration. Apart from these, Alloderm is frequently used in eyelid and periorbital surgery, cleft palate surgery in children, nasoalveolar bone grafting, tarsal plate reconstruction, diabetic foot ulcer treatment, and so on. Alloderm is used as a sheet during reconstructive surgeries. The sheet is shaped, rehydrated (using warmed and sterile saline solution), and implanted with the help of absorbable sutures. 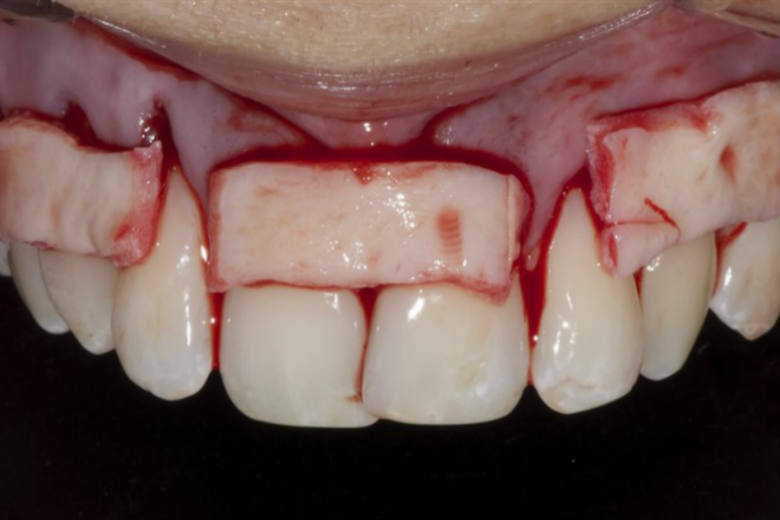 There are two distinct sides of each sheet – ‘basement membrane’ or upper surface (repels blood) and ‘dermal’ or lower surface (absorbs blood). Typically, the dermal side is placed against the most vascular tissue when applied as an implant. However, in a grafting procedure, it is placed against the wound bed with the basement membrane facing up. Just like any other cosmetic procedure, the application of Alloderm also results in redness, swelling, and mild bruising. But these are temporary, which will subside within a few days. For the next 2-3 weeks, you must not get involved in any activity that interferes with the recovery as well as the growth of new tissue. The healing time after Alloderm application varies based on the type of procedure performed. Though you can return to your normal routine within 7-10 days, the complete recovery can actually take a few months. Some common risks associated with Alloderm are allergies, hypersensitivity, wound or systemic infection, dehiscence, seroma, failure of the graft, etc. Multiple factors are taken into consideration in order to determine the total cost of Alloderm. These include the size of the sheet, the extent of damage to be repaired, the type of surgery to be performed, etc. Hence, it can range from $3,000 to $12,000 on average.